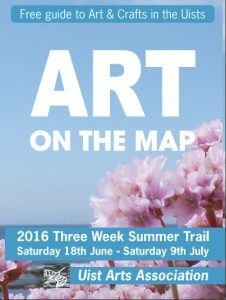 The Art on the Map studio trail will not be run on Summer 2018. We hope to run it again in Summer 2019. In the meantime, many of the galleries and studios listed for the 2016 trail are still open and the leaflet for that event can be downloaded. Do check with the venue about updated opening times.